People always intend to make shelves by themselves, enjoy the happiness of DIY, but they sometimes can not find the right shelf brackets for the shelf. 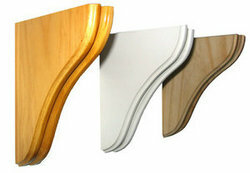 We supply customers different design, differnet size, different colors shelf brackets. With these shelf brackets, people can easily fulfil them wish of make shelves by themselves.